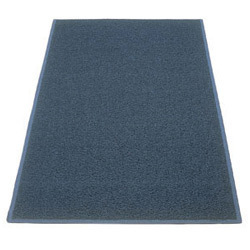 Elecsafe AH insulated electrical matting as per IS 15652:2006 Class A , working Voltage upto 11 KV, 2.5MM thickness, 1 mtr *5 mts roll, blue color with one side fine chequered and other side anti skid small button. Elecsafe AH insulated electrical matting as per IS 15652:2006 Class A , working Voltage upto 3.3 KV, 2MM thickness, 1 mtr *5 mts roll, blue color with one side fine chequered and other side anti skid small button. 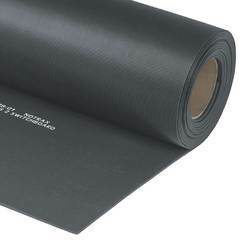 Electrical Insulation Mats offered comprise premium grade safety mats that find use for electrical purposes and come developed in materials with high di-electric strength so as to allow withstanding voltage up to 65kV AC & 240V DC. Other than this, these insulation mats provide for adequate safety support for workers who work n high/low voltage electrical equipment. Some of its features include suitable for use in periphery of electrical apparatus, switchboards, L.T & H.T Control Panels, Switch-gear, electrical Bus Bars among others; offer safety of workers involved in any operations related to electricity generation/transmission/distribution; product in compliance with defined industry standards. Looking for Raychem Electrical Mats ?